Over the past decade or so, the world of media seems to have taken an interest in thieves. On screen, there is something inherently romantic about them. Whether it’s a group or a single person, they are charming and suave and they can break into homes with little to no effort at all. They make difficult tasks seem easy and crimes against the law glamorous. While these thieves on television tend to aim towards more high profile marks (victims), common thieves will can and will break into any home or business if there seems to be something of value. That is why security is so important. 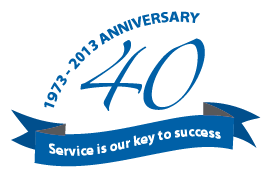 From locks to intercoms to alarms to gates, every last detail helps in deterring thieves from robbing your property. Still, you have to admit there is something mesmerizing about the way these characters in shows so effortlessly manipulate their way into mansions and galas. So in celebration of security and hopes that you will never be robbed, let us look at some popular TV shows. 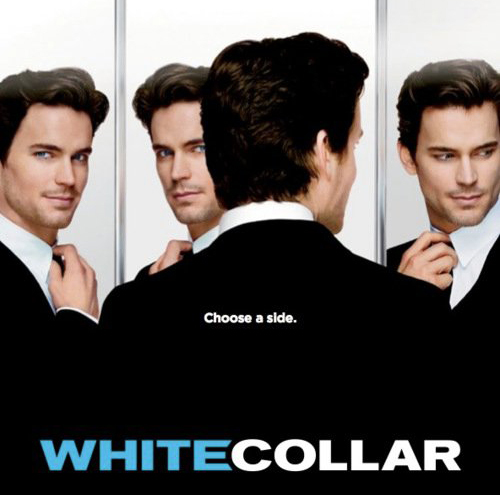 On the USA Network, this show is about a charming thief named Neal Caffrey who is caught by the FBI and made into a consultant for the white collar crimes unit under the order of Peter Burke. Caffrey is the epitome of a gentleman thief. He is handsome, he is charming, he is polite, and he never resorts to violence. Thieves like him get people to give him things rather than physically stealing them. He is master manipulator of people. White Collar is a great show. You are immediately taken by the characters. Overall it is a procedural drama, but they have their quirky moments which are what distinguishes them from other crime shows. It is fascinating to see Neal Caffrey at work and also a good warning. Be careful of charming people. They’ll leave you with nothing in the bank and you won’t even know how it happened. This is absolutely a show worth watching. It used to show on TNT, but recently ended with a bang. Leverage is about a group of thieves that are brought together by their mastermind, Nate. They pull off ridiculously over the top and often elaborate heists against companies that are cheating people. In a sense, they are vigilante thieves, only going after people and companies that manage to circumvent the law. Each character in the group has their specific set of skills. Hardison is a hacker and is in charge of the technical aspects of the job. Elliot is the beater, often masquerading as a body guard and using his physical strength when the situation arises. Sophie is a grafter. Much like Neal Caffrey, her gift is her way with words. Finally, and most importantly, is Parker. She is a thief in every sense of the word. She is the one skilled at picking locks, cracking safe codes, and actually stealing things. Hustle is in essence the British version of Leverage. The only difference is the accent and the humor. I personally found Hustle much more humorous than Leverage. Leverage dealt with some darker personal issues with the characters while Hustle had a few struggles, but tried to keep it relatively light hearted. The best part about the show is the lack of a fourth wall. There are various points in the shows where they point out that Hustle is in fact a simple work of fiction and the characters are actors. They actively point out that the show is merely another form of a con. The other charming thing about this show is that it is old-school. There is the use of technology, but nothing too advance and no hacking. It’s all physical planning with blueprints, careful timing, and knowing the right people in the right places. For reality TV junkies, this is a show to consider. Off air for a few years now, it was a Discovery Channel production. There were two men that hosted the show and they both used to be thieves. 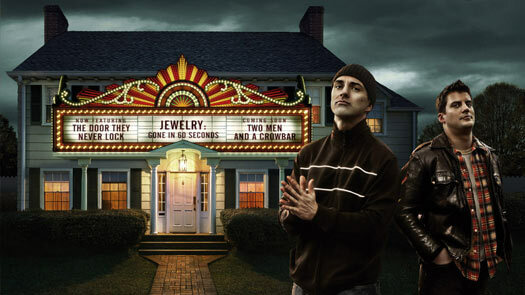 In order to demonstrate how lack home security often is, one of the men would plot a break-in. Of course, the family would be informed what was happening and they would be able to see everything through cameras installed in the house. However, it is still an intense experience. They looted the homes like it was a real robbery. At the end, everything is returned and the family gets a new, upgraded security system. The host promises to return later to make sure the family is actively keeping up with security and it is surprising how many people don’t even after they’ve experienced a break-in.